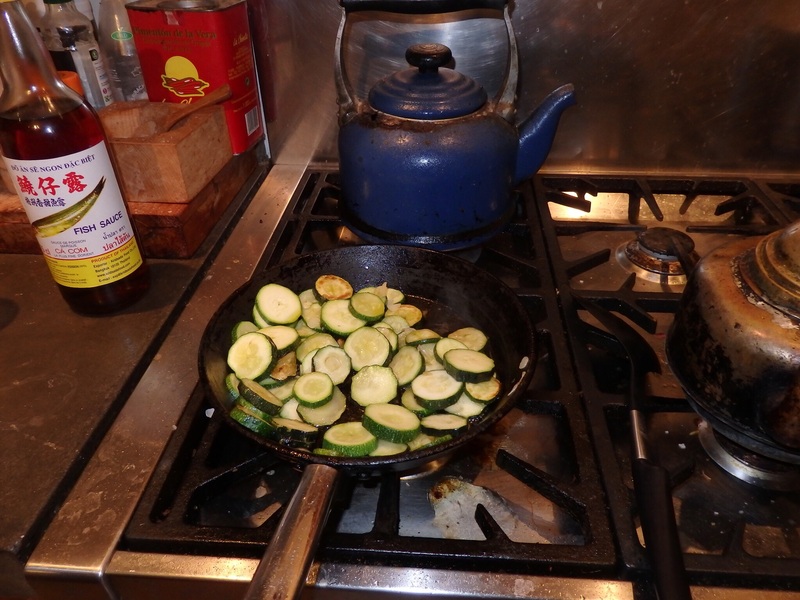 I have managed now to eat at least all of something that has made it out of the veg plot and all I need do now is try to eat up what is there without leaving to much go to waste. 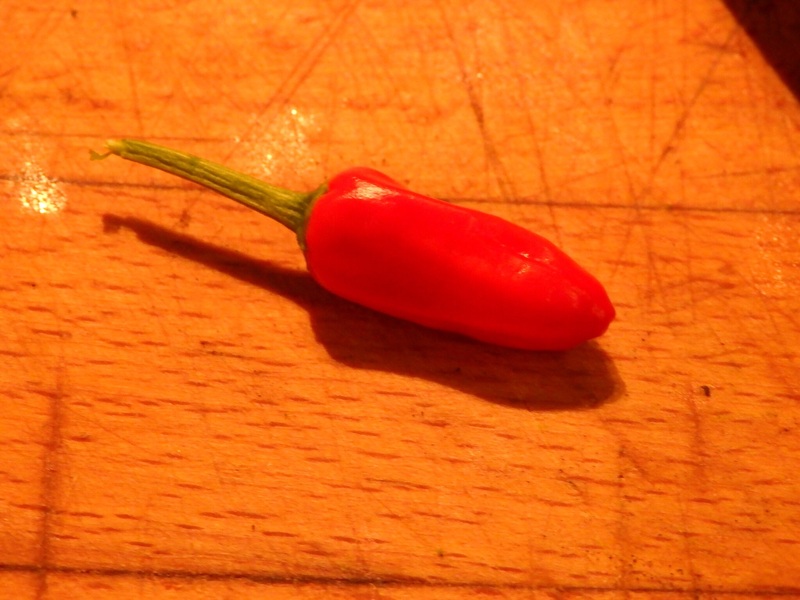 The final bit of produce to come under the knife was a small bright red chilli pepper. 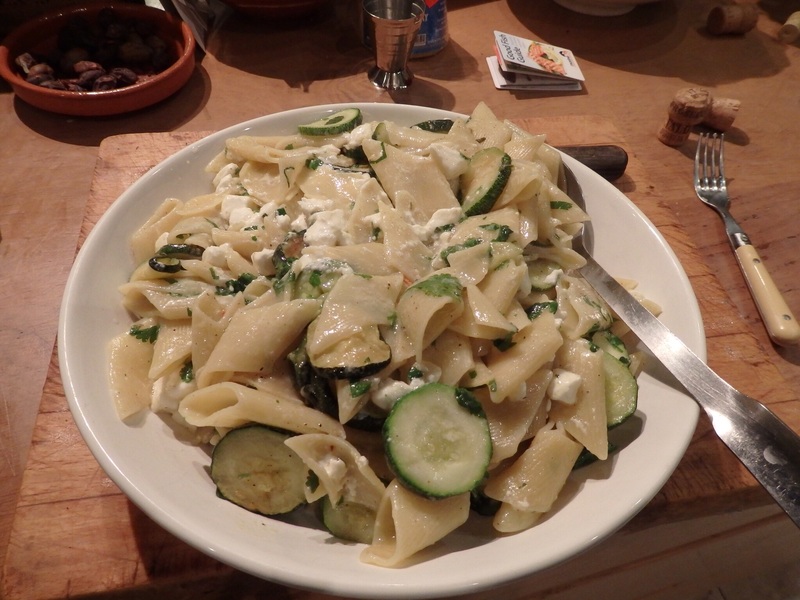 It added some much needed spice to a pasta dish of courgettes with feta cheese. 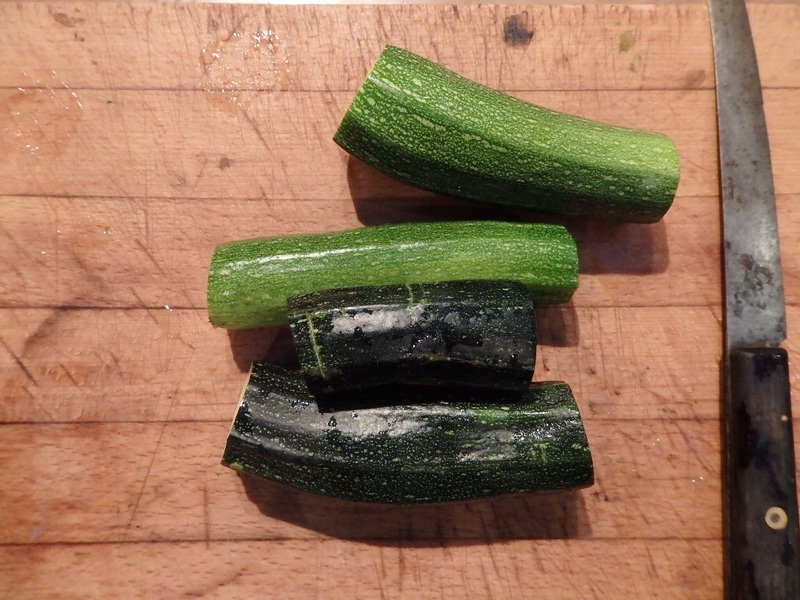 With the late summer we are getting into the season where I dread what monsters may be lurking under the thick leaves of the courgette plant. 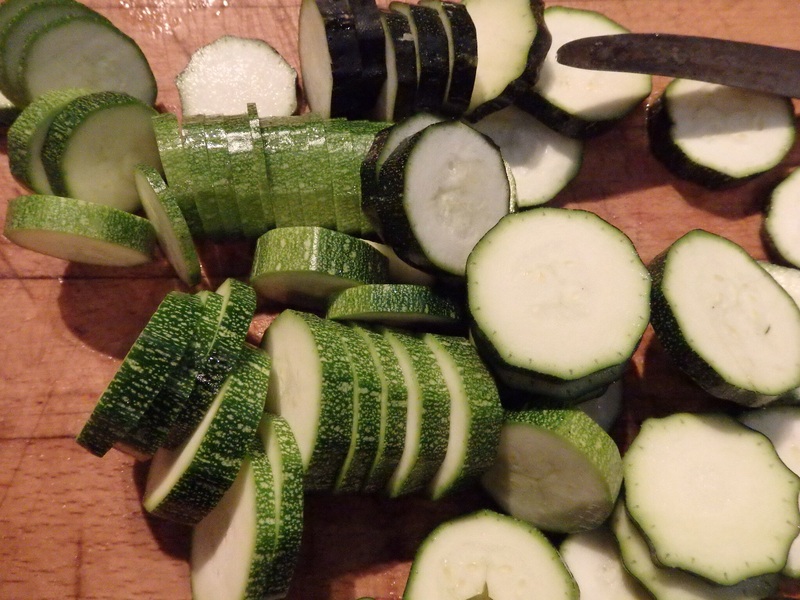 As every grower of courgettes knows leave it a day or so late and the baby courgettes that would be good sliced raw in a salad will have turned to a fat ugly monster full of water and good for nothing but a bowl of indifferent soup or better still a fate left on the compost heap. 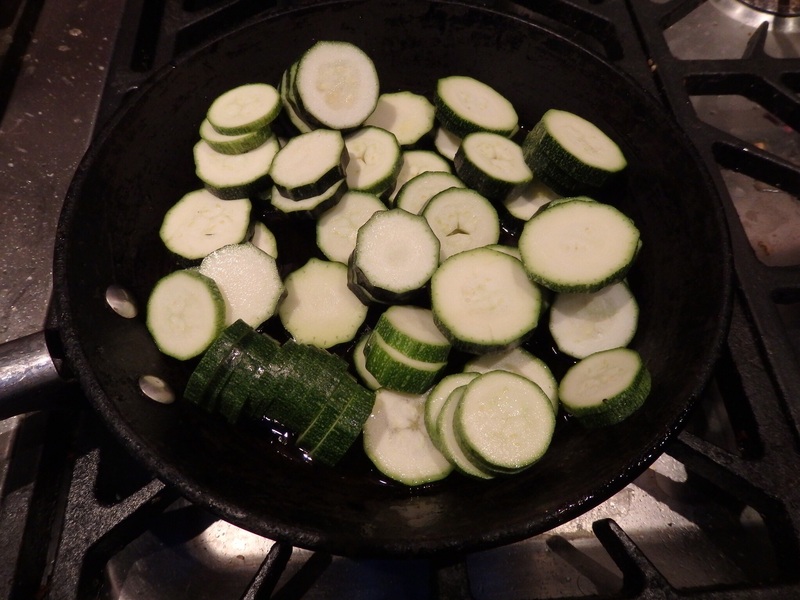 A pan of water went onto boil and the courgettes were sliced into pound thick rounds and dumped in a frying pan slick with olive oil. They were allowed to soften and brown in the heat. 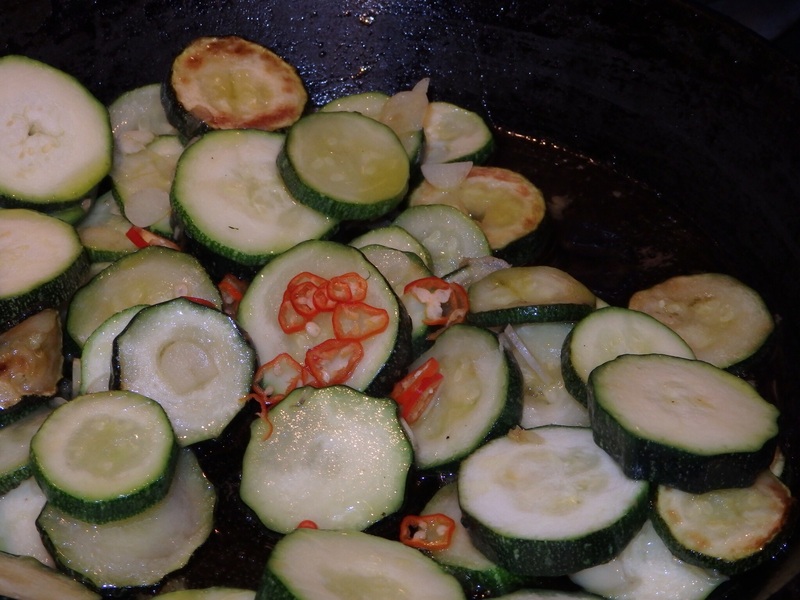 Pasta was added to the boiling water and I stirred a half dozen chopped cloves of garlic into the courgettes along with with finely chopped chilli. 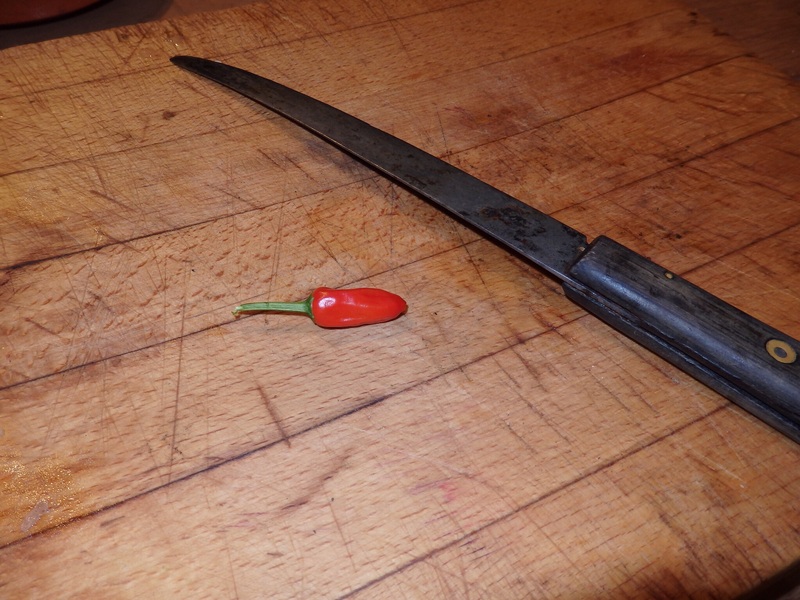 Having chopped it I was careful not to rub my eyes with my fingers. Ten minutes later the pasta was done. 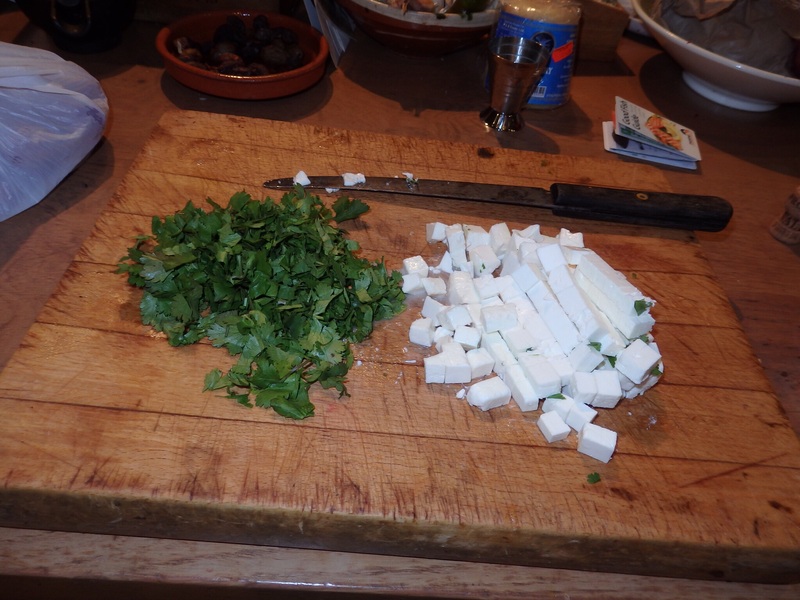 I drained it and put it back in the pan and stirred in the courgettes, followed by a block of chopped feta cheese and a handful coriander (normally it would be parsley but there was none in the fridge). I stirred it until the cheese started to melt. 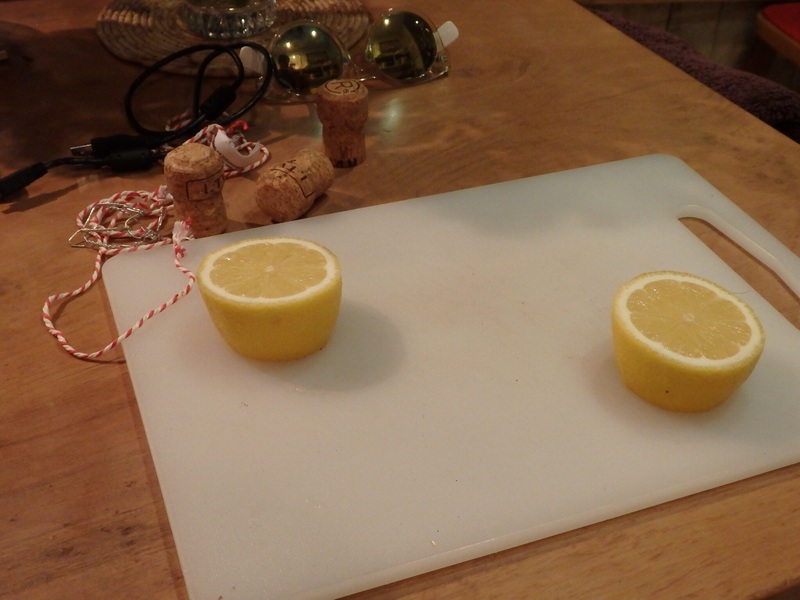 Along the way it was seasoned with salt and pepper and once in the bowl a lemon was squeezed on top. 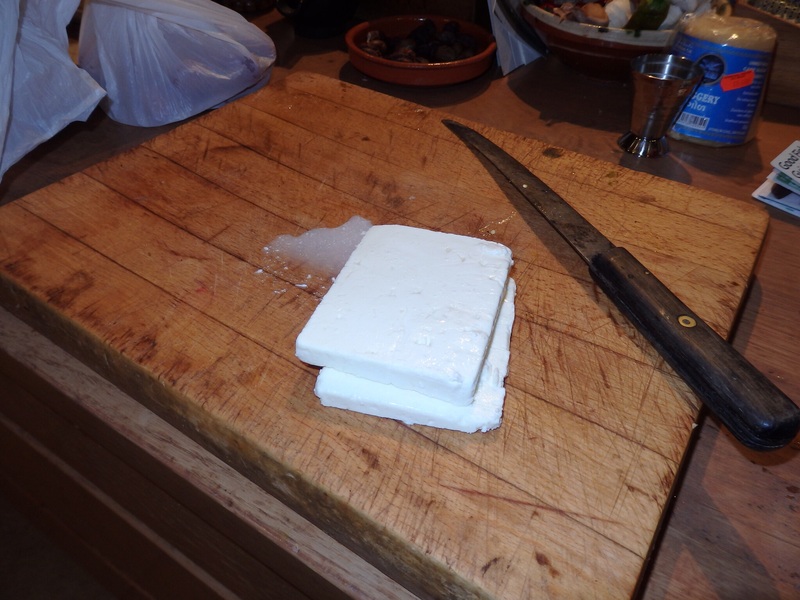 We ate it listening to slightly wonky Welsh psycedelia.